From day one we had envisioned Christchurch as a second base to call home. After 4 years we can finally say its happening (more details to follow); but for now we are on the look out for signage industry experts. People who love the trade, and want to have job satisfaction. 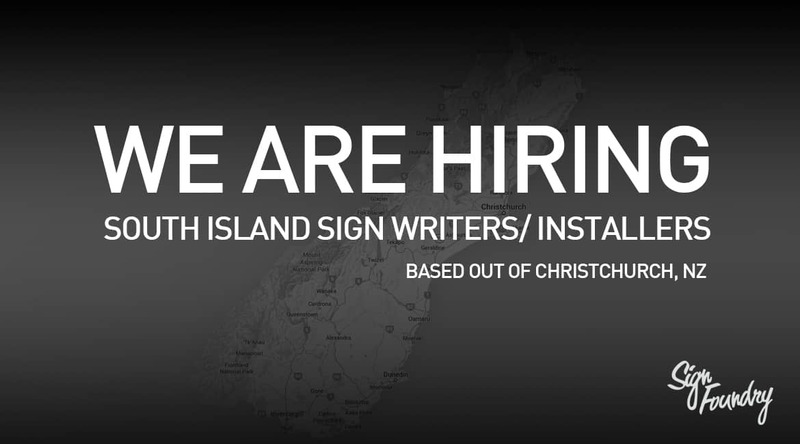 We are on the hunt for an experienced/senior Sign Installer who can hit the ground running. Word of mouth is key, and we are hoping you can help? Do you know anyone that ticks the boxes? Is a expert sign craftsmen? Is a hard worker? Get them to contact us! If they are successful we will make sure you are well rewarded!